The new Nissan Pathfinder is now an even more desirable option for White Plains families thanks to its newly standard automatic emergency braking system and rear seat belt reminder—not to mention extra USB ports and spacious seating for seven across three rows. Compared to the Toyota Highlander, the Pathfinder comes with a range of special features such as NissanConnect. On top of that, you’ll get a 3.5L V6 engine that’s able to push out 284 hp to all four wheels. See for yourself why U.S. News & World Report praised its “potent engine and intuitive features” with a test drive at Nissan of Yorktown Heights. Gun Metallic 2019 Nissan Pathfinder S 4WD CVT with Xtronic 3.5L 6-Cylinder 4WD. Nissan of Yorktown Heights serving Westchester, Mount Kisco, White Plains, Putnam Rockland and Dutchess Counties is number one Nissan Dealer in the area for customer satisfaction, call or click today to schedule a test drive or reserve a vehicle. 19/26 City/Highway MPG We have access to hundreds more used cars, so if you're not sure this is what you're looking for, give us a call today (914-737-3500) and we will work to make your vehicle research process as easy as possible. Brilliant Metallic 2019 Nissan Pathfinder S 4WD CVT with Xtronic 3.5L 6-Cylinder 4WD. Nissan of Yorktown Heights serving Westchester, Mount Kisco, White Plains, Putnam Rockland and Dutchess Counties is number one Nissan Dealer in the area for customer satisfaction, call or click today to schedule a test drive or reserve a vehicle. 19/26 City/Highway MPG We have access to hundreds more used cars, so if you're not sure this is what you're looking for, give us a call today (914-737-3500) and we will work to make your vehicle research process as easy as possible. Glacier White 2019 Nissan Pathfinder S 4WD CVT with Xtronic 3.5L 6-Cylinder 4WD. Nissan of Yorktown Heights serving Westchester, Mount Kisco, White Plains, Putnam Rockland and Dutchess Counties is number one Nissan Dealer in the area for customer satisfaction, call or click today to schedule a test drive or reserve a vehicle. 19/26 City/Highway MPG We have access to hundreds more used cars, so if you're not sure this is what you're looking for, give us a call today (914-737-3500) and we will work to make your vehicle research process as easy as possible. Caspian Blue Metallic 2019 Nissan Pathfinder SV 4WD CVT with Xtronic 3.5L 6-Cylinder 4WD. 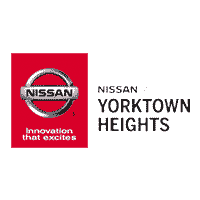 Nissan of Yorktown Heights serving Westchester, Mount Kisco, White Plains, Putnam Rockland and Dutchess Counties is number one Nissan Dealer in the area for customer satisfaction, call or click today to schedule a test drive or reserve a vehicle. 19/26 City/Highway MPG We have access to hundreds more used cars, so if you're not sure this is what you're looking for, give us a call today (914-737-3500) and we will work to make your vehicle research process as easy as possible. Brilliant Metallic 2019 Nissan Pathfinder SV 4WD CVT with Xtronic 3.5L 6-Cylinder 4WD. Nissan of Yorktown Heights serving Westchester, Mount Kisco, White Plains, Putnam Rockland and Dutchess Counties is number one Nissan Dealer in the area for customer satisfaction, call or click today to schedule a test drive or reserve a vehicle. 19/26 City/Highway MPG We have access to hundreds more used cars, so if you're not sure this is what you're looking for, give us a call today (914-737-3500) and we will work to make your vehicle research process as easy as possible. Magnetic Black Pearl 2019 Nissan Pathfinder SV 4WD CVT with Xtronic 3.5L 6-Cylinder 4WD. Nissan of Yorktown Heights serving Westchester, Mount Kisco, White Plains, Putnam Rockland and Dutchess Counties is number one Nissan Dealer in the area for customer satisfaction, call or click today to schedule a test drive or reserve a vehicle. 19/26 City/Highway MPG We have access to hundreds more used cars, so if you're not sure this is what you're looking for, give us a call today (914-737-3500) and we will work to make your vehicle research process as easy as possible. Magnetic Black Pearl 2019 Nissan Pathfinder SL 4WD CVT with Xtronic 3.5L 6-Cylinder 4WD. Nissan of Yorktown Heights serving Westchester, Mount Kisco, White Plains, Putnam Rockland and Dutchess Counties is number one Nissan Dealer in the area for customer satisfaction, call or click today to schedule a test drive or reserve a vehicle. 19/26 City/Highway MPG We have access to hundreds more used cars, so if you're not sure this is what you're looking for, give us a call today (914-737-3500) and we will work to make your vehicle research process as easy as possible. Midnight Pine 2019 Nissan Pathfinder SV 4WD CVT with Xtronic 3.5L 6-Cylinder 4WD. Nissan of Yorktown Heights serving Westchester, Mount Kisco, White Plains, Putnam Rockland and Dutchess Counties is number one Nissan Dealer in the area for customer satisfaction, call or click today to schedule a test drive or reserve a vehicle. 19/26 City/Highway MPG We have access to hundreds more used cars, so if you're not sure this is what you're looking for, give us a call today (914-737-3500) and we will work to make your vehicle research process as easy as possible. medium metallic gray 2019 Nissan Pathfinder SL 4WD CVT with Xtronic V6 4WD. Nissan of Yorktown Heights serving Westchester, Mount Kisco, White Plains, Putnam Rockland and Dutchess Counties is number one Nissan Dealer in the area for customer satisfaction, call or click today to schedule a test drive or reserve a vehicle. Recent Arrival! 19/26 City/Highway MPG We have access to hundreds more used cars, so if you're not sure this is what you're looking for, give us a call today (914-737-3500) and we will work to make your vehicle research process as easy as possible. Caspian Blue Metallic 2019 Nissan Pathfinder Platinum 4WD CVT with Xtronic 3.5L 6-Cylinder 4WD. Nissan of Yorktown Heights serving Westchester, Mount Kisco, White Plains, Putnam Rockland and Dutchess Counties is number one Nissan Dealer in the area for customer satisfaction, call or click today to schedule a test drive or reserve a vehicle. 19/26 City/Highway MPG We have access to hundreds more used cars, so if you're not sure this is what you're looking for, give us a call today (914-737-3500) and we will work to make your vehicle research process as easy as possible. Gun Metallic 2019 Nissan Pathfinder SL 4WD CVT with Xtronic 3.5L 6-Cylinder 4WD. Nissan of Yorktown Heights serving Westchester, Mount Kisco, White Plains, Putnam Rockland and Dutchess Counties is number one Nissan Dealer in the area for customer satisfaction, call or click today to schedule a test drive or reserve a vehicle. Recent Arrival! 19/26 City/Highway MPG We have access to hundreds more used cars, so if you're not sure this is what you're looking for, give us a call today (914-737-3500) and we will work to make your vehicle research process as easy as possible. Bring your family along from White Plains and check out the new Nissan Pathfinder trim level that meets your needs at your certified Nissan dealership in Yorktown Heights. In addition to our low APR financing and friendly sales staff, there are many reasons to choose our dealership, including our top-of-the-line Nissan service center. Stop by an see us today, or contact us for more information!